Dress shirts and neck ties used to be every-day wear – until casual Friday became casual every-day. Now a lot of formal work attire needs to be re-made into something more useful. 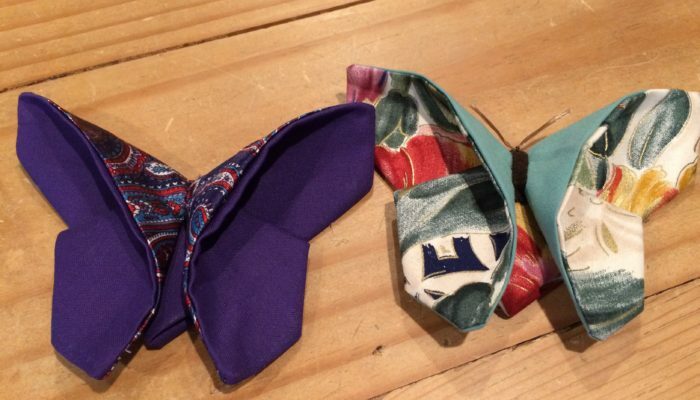 In episode 18 of the Trashmagination podcast, get inspired this Father’s Day to remove an under-utilized tie from the closet and make it into something more fun. 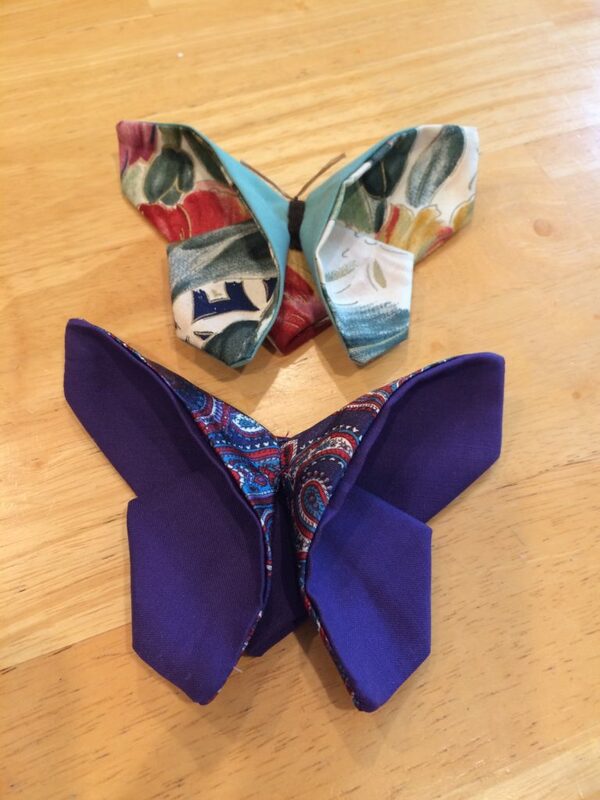 Check out the butterflies I sewed from neck ties! They were inspired by this tutorial for fabric origami butterflies.